In the Philippines, summer has to be one of the most anticipated seasons of the year. From intensely busy roads and fast paced work life to ice-cold Halo Halo enjoyed on almost every street corner and children slurping ice candy to keep the heat at bay - it seems like the whole country, not just students, decides to relax, sit back and take it easy. 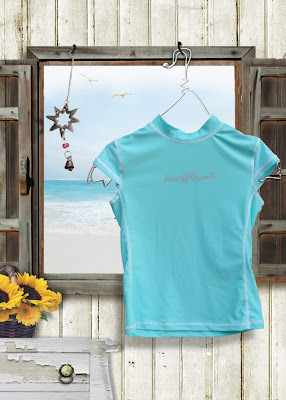 Sassa Activewear salutes this wonderful season by presenting its 2010 Summer collection which was inspired by such scenes as well as sunset beach parties, which are so much a part of everyday life in the months of April and May. This theme has given the collection a real streamlined and highly fashionable yet fun look while concentrating on bright solid colors. Though prints are still part of Sassa's collection, its the solid colors with subtle print accents that give this particular collection a real “beach” feel. Sassa Activewear, a pioneer in the local swimwear industry, constantly develops new designs and sets the trend every season. “This year, we're doing color collections again so that its really easy for our market to just mix and match items: bikini tops, bottoms, tank tops, swimsuits and board shorts are all in color sets. This is so you can buy a few pieces to make several unique outfits. Its not only one outfit for a couple of days in the pool or the beach, but a few different ones so you look great every single day you're out!” designer Gertie Hermanos explains. 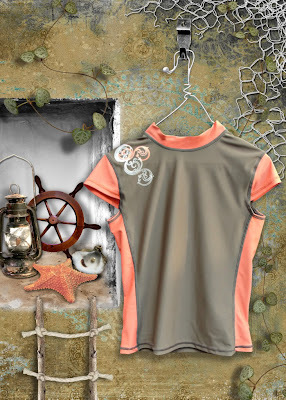 Rash guards, which have become a regular part of Sassa's collection, now come with Ultra Violet Protection Factor (UPF) 50+, which means that they give skin excellent protection from the sun's Ultra Violet Rays. Sassa's current collection comes imprinted with the unique Sassa waves in inconspicuous areas on the swimsuit to remind the wearer of the brand that produces winning swimwear designs all year round. Sassa swimwear comes in sizes from small to extra large so no matter what the body type is, Sassa has a swimsuit to compliment the shape. The collection is made from 80% Nylon and 20% Spandex. All swimsuits have removable cup pads and are lined with 100% Polyester. Sassa swim and active wear is available in department stores such as The Landmark Makati & Trinoma; Robinsons Departments Store; SM Hypermarts; Metro Market Market and in many departments stores nationwide. Check out www.sassa.com.ph or search for Sassa Activewear's profiles on both Facebook and Multiply. Sassa officially welcomed summer with a runway show featuring the latest collection. Sponsors for the Sassa Salutes Summer 2010 show include: Hawaiian Tropic, a complete skincare line that offers ultimate protection from the sun's harmful rays. Hawaiian Tropic's rich indulgent formulas are infused with an exotic blend of flora and fruit extracts and are dermatologist tested. Sueño de Espadrilles, importer of authentic Spanish espadrilles, provided footwear for the show. Known for exciting colors, up-to-date looks, perfect insole molds as perfected by hundreds of years of artisan craftsmanship, Sueño de Espadrilles is located on the 4th floor, The Podium, Ortigas Center. Lay Bare Waxing Salon provided the guests at the show with gift certificates for free bikini waxes. Lay Bare has made waxing very comfortable because they use cold sugar wax. Gone are the days of uncomfortable or even painful waxing as Lay Bare provides a relaxed atmosphere with real beds, soothing interiors, and private waxing cubicles. Lay Bare has more than 11 branches nationwide and more are opening almost every month! Great stuff! I buy my activewear at ActivewearUSA.com . The have amazing brands like Margarita Activewear, Fitness Fit and Bia Brazil. Very cool!